We’ve discovered that motorbikes worth £6,000 and upwards are being sold openly on Facebook groups for as little as £800. Bikes like a Triumph Speed Triple and a Yamaha R1, each worth at least £6,000 in a legitimate sale are being offered for only £800. One post features a young man posing on an R1, making a handgun signal, his face covered by a balaclava. 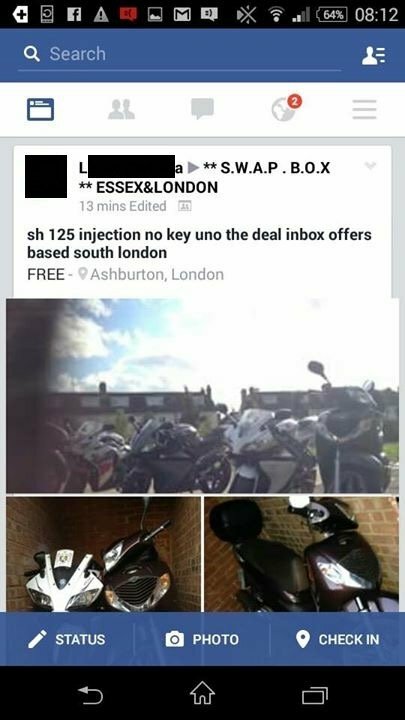 In another ad post, that showed many different bikes in storage locations, the description reads, ‘sh 125 injection no key uno the deal inbox offers based south london.’ Uno the deal indicates to buyers the bike is stolen. 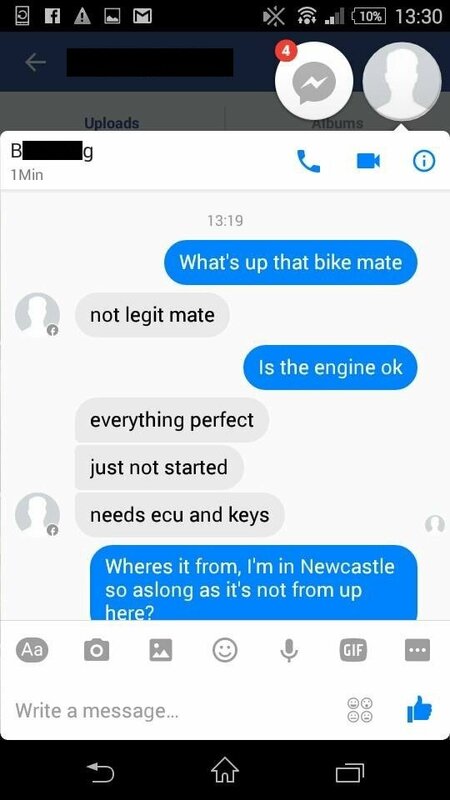 In a message to prospective buyers, a seller declares the bike is ‘not legit mate’ in response to a question about what might be wrong with the bike (to warrant the low price). 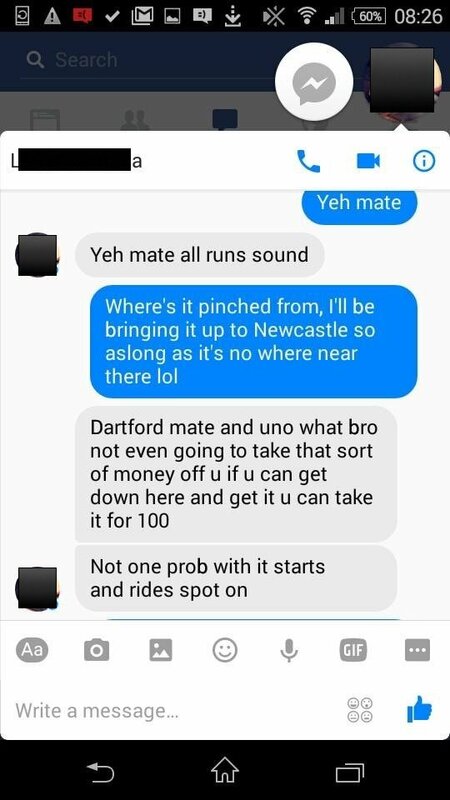 It’s also clear that the buyer is not bothered about the bike’s background, as long as it hasn’t been stolen from their local area. The sellers are so open and brazen that some feature telephone numbers and addresses when messaging prospective buyers. We’ve obscured any identifying details on legal advice. 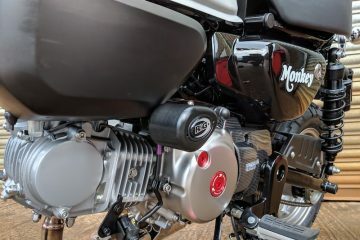 Many of the posts centre on a small geographical area, Tilbury, and a small group of men whose Facebook profiles feature pictures of multiple motorbikes in what look like hideaway locations, often with number plates missing. It’s rumoured that Facebook uses advanced software to scan messages for signs of criminal activity, which it then reports to the police. But the number of posts, that feature what can easily be viewed as criminal activity, indicates the software may not be as effective as Facebook would like. 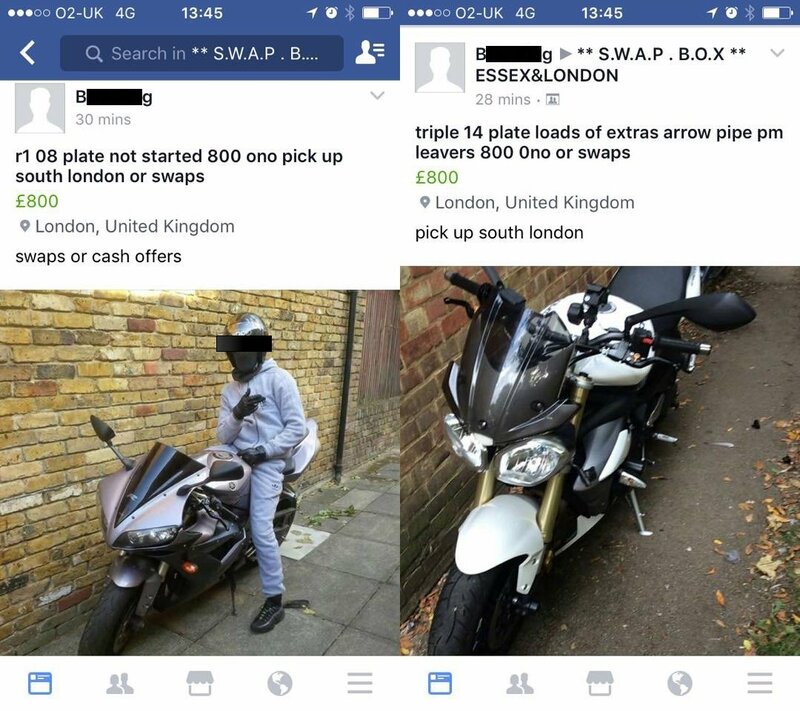 That stolen bikes can be advertised and sold so openly is shocking but comes as no surprise to many Facebook users who are aware of the posts. 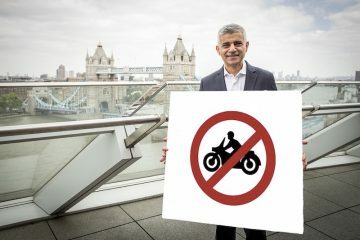 In a group dedicated to helping tackle the problem of motorcycle theft in London, many members express concern that the police are not interested in this kind of activity on Facebook. However, the police have recently been given the power to hack into personal computers without needing permission from the courts. So they could be monitoring the activity already. In fact, according to this article on the Spectator website, the police use their powers to search someone’s personal records every 73 seconds. 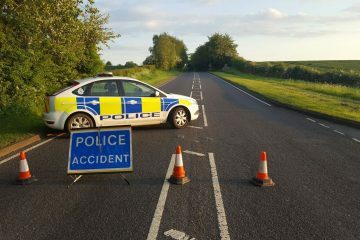 But whether that’s to tackle anything as ‘mundane’ as motorcycle crime is unknown. 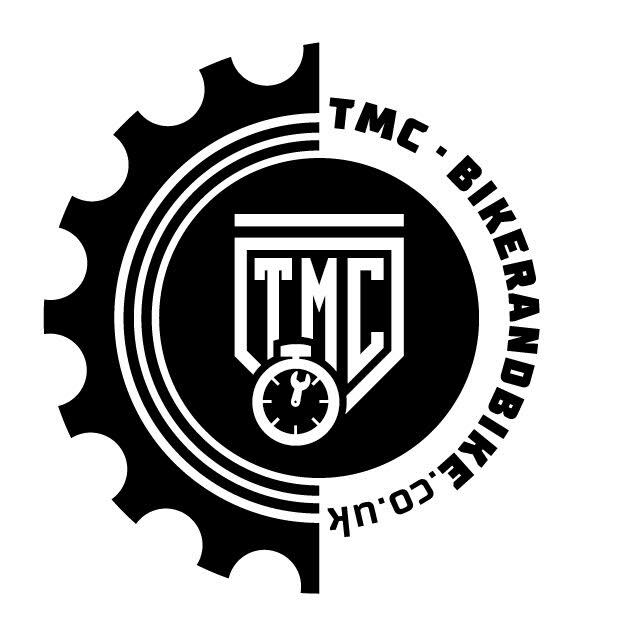 Other members of the bike theft action group expressed deep anger at the situation. Some advocate vigilante action, which we don’t condone. Our view is that, by exposing this type of bike theft activity, there will be one less outlet for the thieves to use. Let’s hope that these types of posts disappear quickly. Editor’s note. Pretty much as soon as this article was published the name of the** S.W.A.P . 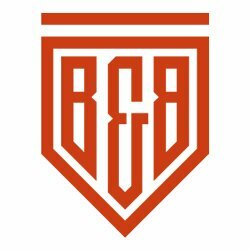 B.O.X ** ESSEX&LONDON Facebook group and many others changed their names. And kept changing them. This is presumably to avoid detection by Facebook and the authorities. We have chosen to not keep posting the new names, as we’d prefer not to give them the publicity.